We're on our midseason break. We miss you, and we'll be back soon. Connor is a portrait of President William Howard Taft. He's hanging on a wall, but is anybody looking at him? Connor, the painting, was played by Connor Ratliff. It's hard being a Montreal Expos cap living in the Bronx, but Petey's trying to stay on top. Petey the Baseball Cap was played by Petey DeAbreu. Music in this episode by Blue Dot Sessions. Emmy, the pregnancy test, was played by Emmy Blotnick. Alligator, the Alligator, was played by Tom Bodett. Shannon is a bath towel. She just wants to be part of the story. Shannon, the bath towel, was played by Shannon O'Neill. Music from Blue Dot Sessions. A few moments that for one reason or another got cut from of Season One. A few moments that for one reason or another got cut out of Season One. Featuring Louis, can of cola, Maeve the Lamppost, Sean the Subway Seat, and more. Sean's just looking for a connection. Sean the subway seat was played by Peter Grosz. Music in this episode from Blue Dot Sessions. Ayo has reached great heights, but she would like to come back down. Ayo the balloon was played by Ayo Edebiri. Among other things, you can see her co-hosting In Bad Taste at Vital Joint in Brooklyn, New York. Annie doesn't want to scare you. Annie, the jack o' lantern, was played by Annie Donley. Chioke is not as small as he looks. Chioke the grain of sand was played by Chioke I'Anson. Paul may have been knocked out, but he's not giving up. Paul the tooth was played by Andrew Tisher. We also spoke to Thomas Morris; you can find information about his upcoming book here. Ana is headed for great heights. Ana is headed for great heights. Ana the elevator was played by Ana Fabrega. She's writing and starring with Julio Torres and Fred Armisen in the new HBO show Los Espookys, premiering next year. Tara may be just a sliver now, but she's got a lot of fight left. Tara may be just a sliver now, but she's got a lot of fight left. Tara the bar of soap was played by Tara Clancy. Tara's book is The Clancys of Queens, and you can find more from Tara on her website and twitter. "L'elisir d'amore, Una furtiva lagrima," Gaetano Donizetti. Performed by the MIT Symphony Orchestra, Adam Kerry Boyles, director, and Brendan Buckley, vocalist. Additional music by Blue Dot Sessions. While we are sleeping, Dennis has dreams too. Dennis the pillow was played by Dennis Pacheco. Music by Blue Dot Sessions. Maeve sees all of us. But does anyone see her? Maeve sees all of us. But does anyone see her? Maeve the lamppost was played by Maeve Higgins. Her new book of essays is "Maeve in America." You can find out more about Maeve and all the great things she does right here. Louis has been on the shelf a long while, so he's had some time to think. Louis, the can of cola, was played by Louis Kornfeld. A trailer for season one. New episodes are released every other Wednesday. 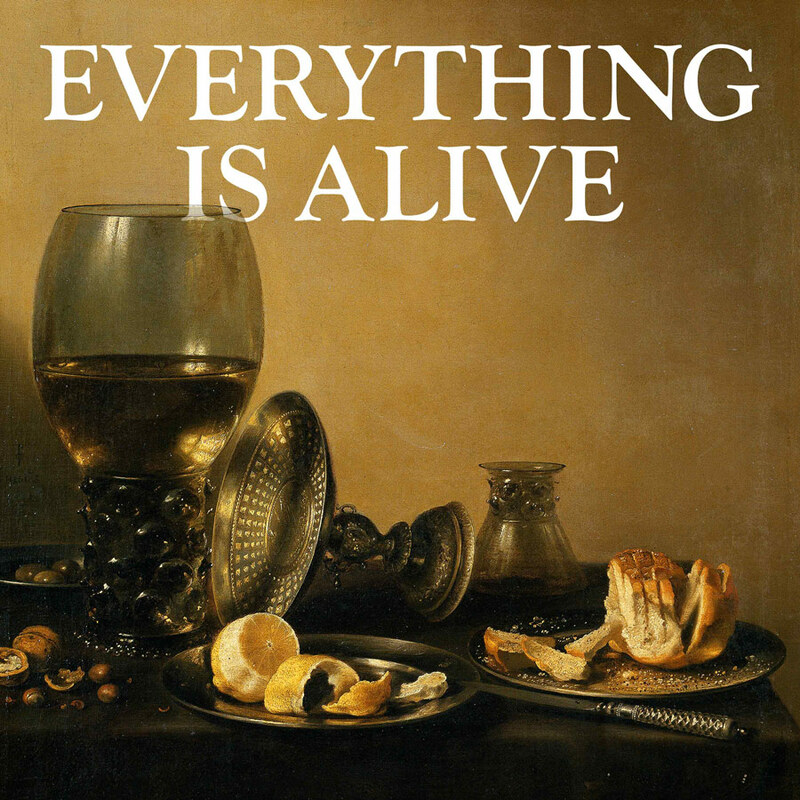 Everything is Alive is a proud member of Radiotopia from PRX. Ian Chillag is a producer and writer living in Brooklyn. He’s produced NPR’s Wait, Wait...Don’t Tell Me and Fresh Air with Terry Gross, and he co-created and hosted the NPR podcast How To Do Everything. He’s also worked on videos for The New York Times, contributed regularly to the literary magazine A Public Space, and has recorded four episodes of a podcast about a post-apocalyptic public radio pledge drive besieged by pestilence and death that he can’t quite figure out what to do with.